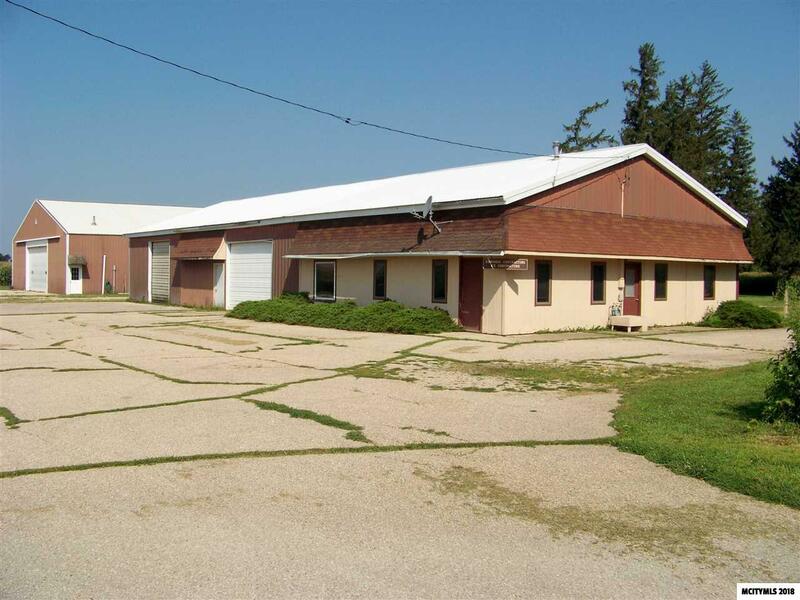 Commercial property with many potential uses, take a look and see what you can do. East building is 40x100 and contains office space and heated shop area. West building is 60x150 with a 60x40 heated bay and balance of space open storage. Approximately 12 tillable acres for extra income. This property is outside the city limits. Call a realtor today, easy to view!